With the growing number of discovered exoplanets, we’ve come to realize that planets and solar systems are very diverse. For ages it was suspected that planets orbited other stars. It was also generally thought that they would be similar to our own, with small, rocky, inner planets and large, gaseous outer worlds. Now we know that Jupiter-type planets are often quite close to their sun. We know that planets don’t just form around stars like our Sun, but also around red dwarfs, and sometimes even alone without a sun. We’ve also found planets that orbit two stars. Although we’ve found planets in binary star systems, it isn’t clear how they could have formed. Before computer simulations, it was thought that planetary orbits in a binary star system would be too unstable to exist for long. We now know that there can be regions around a star in a binary system that where planets can have quite stable orbits. But the other question has been whether such planets could form in the first place. 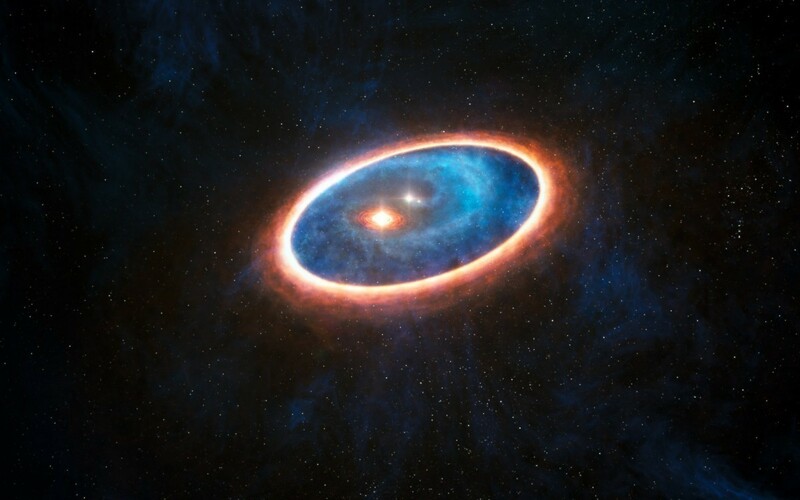 In a binary system, the two stars would tend to capture most of the material as the solar system formed, which would leave little left over for planets to form. Images of the debris ring of GG Tau-A. Credit: Anne Dutrey, et al. 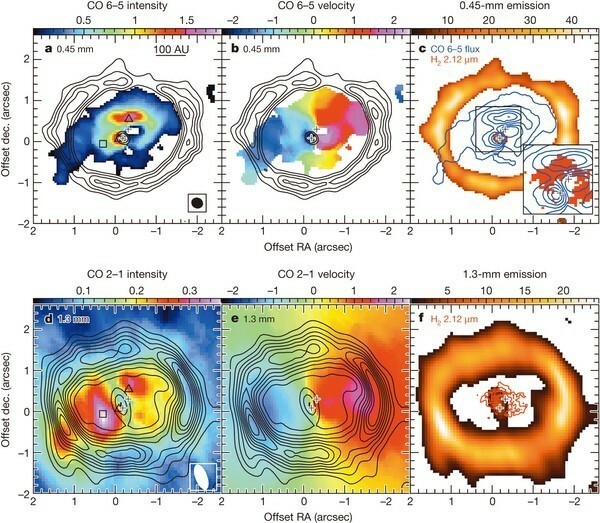 But a paper this week in Nature seems to show that planets can, in fact, form in a binary system. The work is based on data gathered at the ALMA radio telescope array, and shows a binary star system in the process of forming planets. The system is known as GG Tau-A, and images show it has two debris regions. The first is a large debris ring around the binary system itself, while the second is a debris region around the primary star. This by itself isn’t too surprising. The outer ring is the remnant of the binary system’s formation, and the inner region has yet to be swept clean by the two stars. But the team also found evidence of material from the outer ring being swept to the inner region. Thus, while inner region material might be captured by the stars, it is replenished by material from the outer ring. 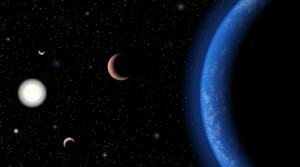 This means the inner region could contain material long enough for planets to form. The question remains as to whether this transfer-effect is common in binary systems, or if this is just an unusual fluke. But if it is common we could have an explanation for binary solar systems. Either way, it is one more example of just how diverse planetary systems can be.